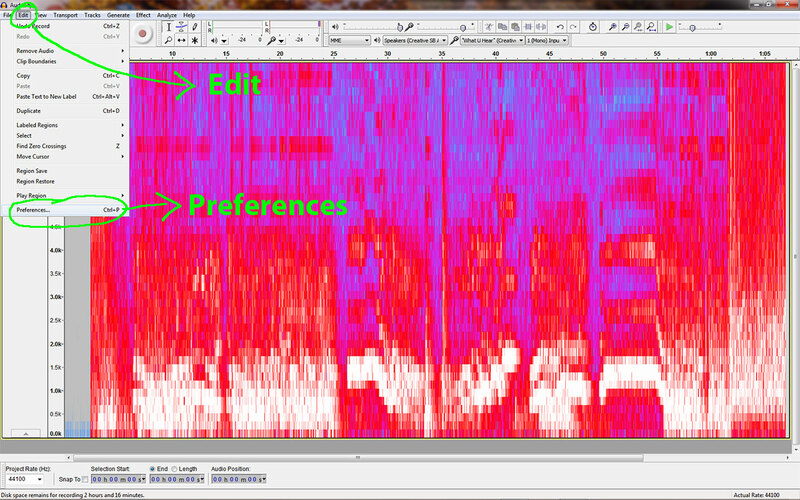 After starting it for the first time you will probably need to change the Input Device to (“What U Hear”) and Input Channel to (Mono) as shown in the diagram below. I am using the audio captured from this YouTube video. 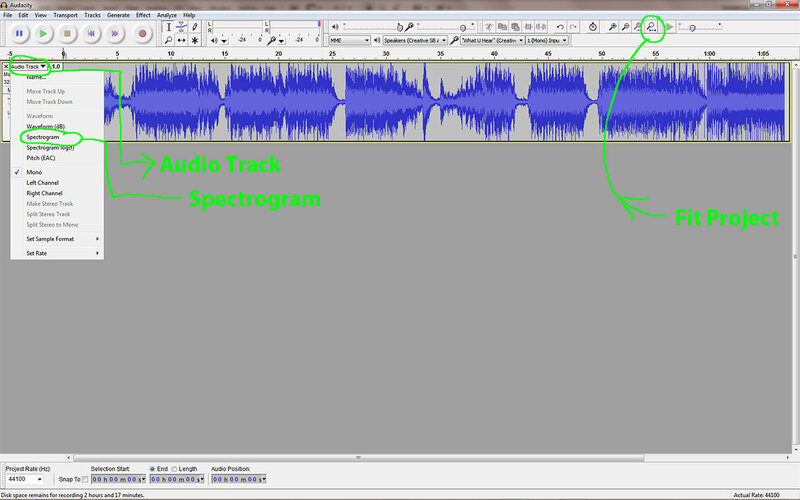 Here is how to record the audio. 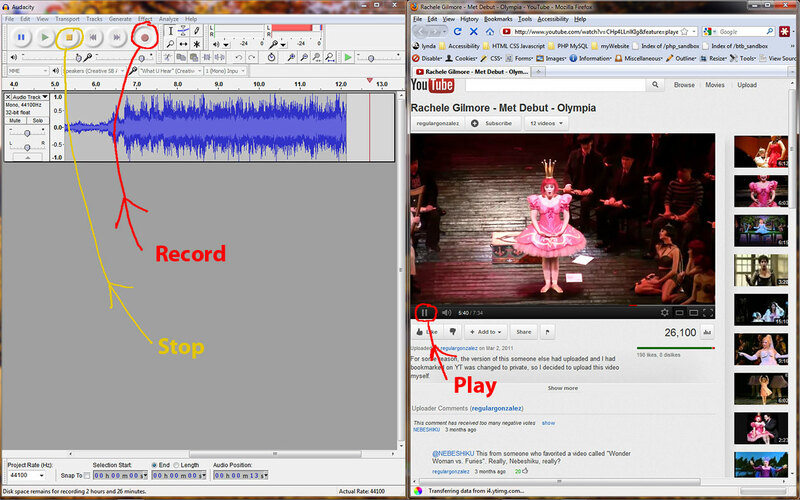 Start playing the video and then click on the record button in Audacity. 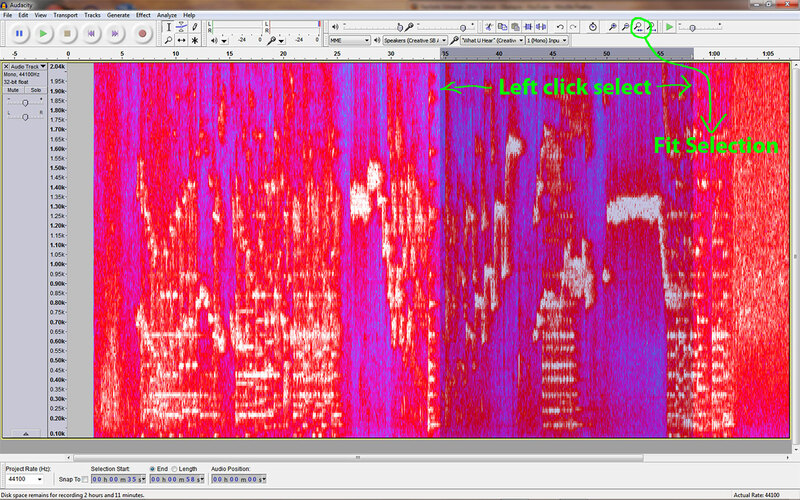 Click the stop button to end the recording. Now click the Fit Project button. 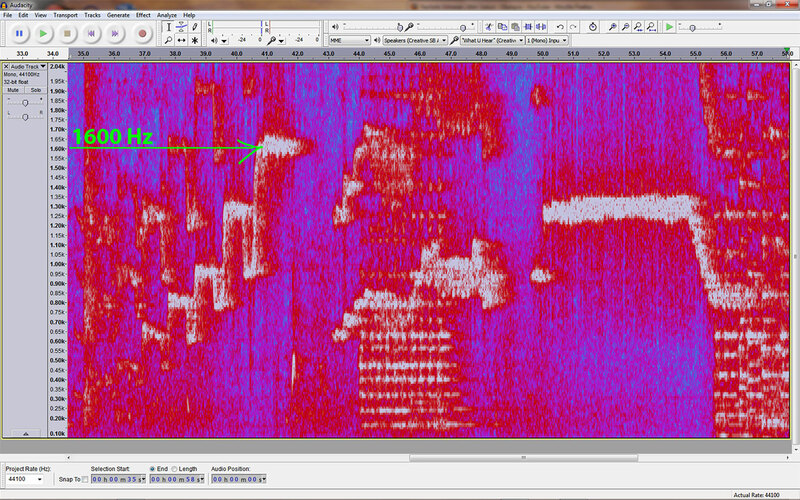 This will show the entire recording. 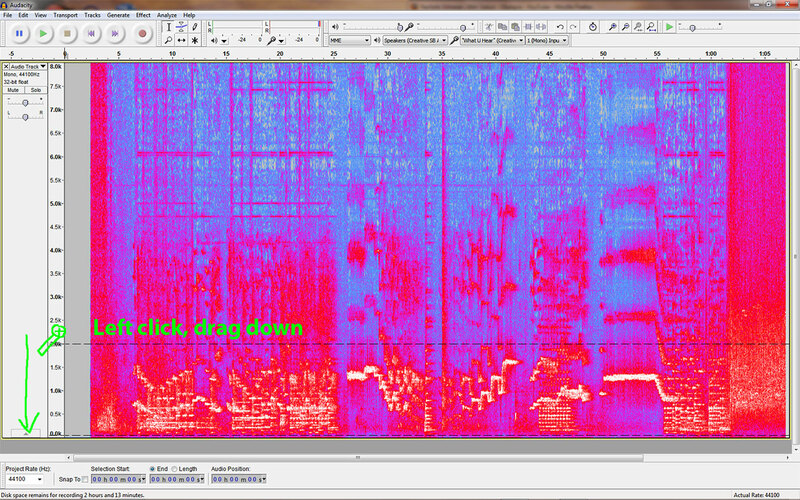 To see the Spectrogram view of the recording, click the drop down menu next to Audio Track and select Spectrogram. 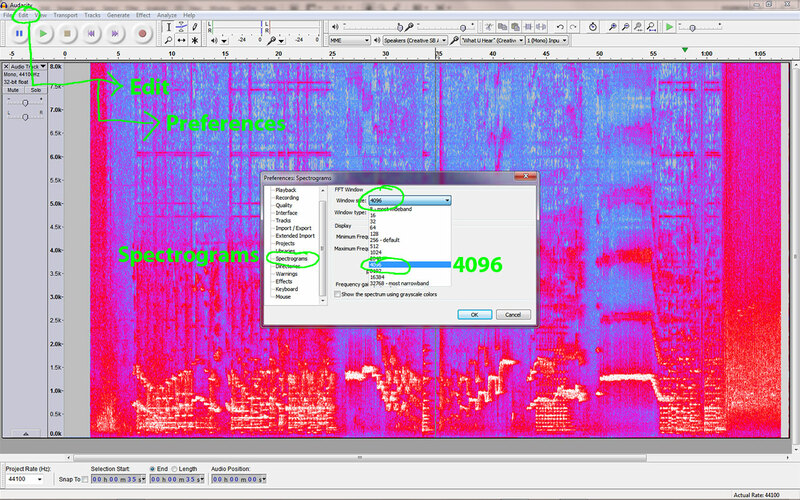 We can increase the resolution of the displayed spectrogram by selecting under Edit, Preferences, Spectrograms, Window size 4096. The default is 256. What this does is take the sample rate 44,100 Hz and divides it by 4096. The result is about 10.8 Hz. So the vertical scale goes up in steps of 10.8 Hz. 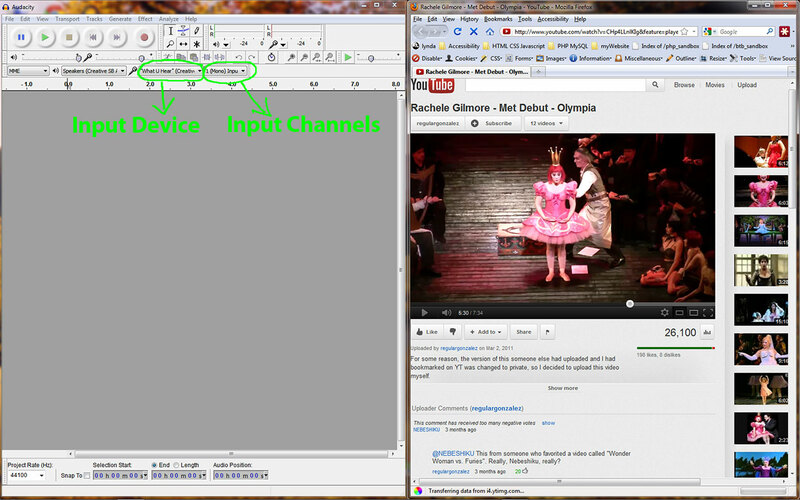 To zoom the vertical scale, hover the mouse pointer over the vertical scale, left click and drag down, release. Now zoom the horizontal scale, left click highlight a selection and then click the Fit Selection button. The final result looks like. How to install a WordPress blog from scratch.